"The whole world, as we experience it visually, comes to us through the mystic realm of color." Here it is...the May 2009 edition of Daily Inspirations...download for FREE here and start scrapping!! Entries are due by the 5th of the following month. May entries are due June 5th. 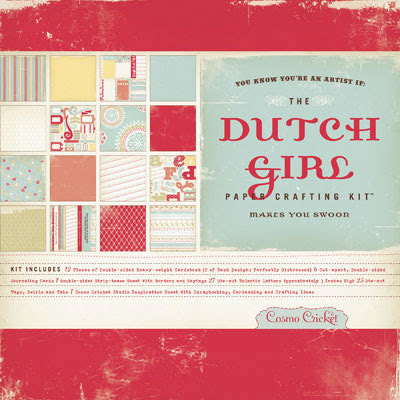 The complete Cosmo Cricket Dutch Girl Paper Crafting Kit! 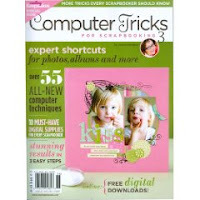 Download the FREE MAY 2009 DAILY INSPIRATIONS now and start scrapping!! REMINDER: It's not too late for your chance to be inspired and win the April 2009 Daily Inspirations prize! Layouts can be submitted until Tuesday, May 5th, 11:59 PM (CST) for a chance to win some amazing Making Memories goodies! Brian Tippetts is one of the few 'known names' when it comes to men in the scrapbooking industry and boy is he talented. It doesn't take long after flipping through a few issues of Creating Keepsakes magazine to realize this editor-in-chief's primary passion when it comes to crafting - TYPE! 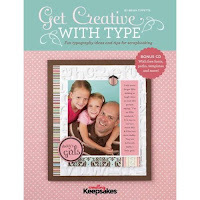 In his recent book, Get Creative with Type: Fun Typography Ideas and Tips for Scrapbooking , Brian shares his passion for and immense knowledge of type so that we can step up our own use of type and, in turn, greatly enhance our own creations. 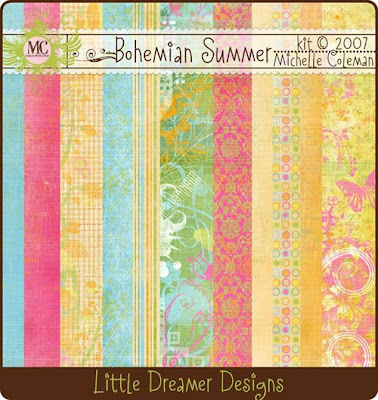 "Scrapbooking and design go hand in hand. As designers and scrapbookers, we use color, pattern, texture, repitiion, focus, context, shape, proportion, photography and type to convey our message." Learning about and using the elements of good design is a big part of what has personally made me fall so much in love with scrapbooking and, after reading Brian's book, I understand even more how much a part of design that type can be! The book contains over 100 stunning layouts, cards, home decor projects and more created by Brian himself as well as the following well-known artists: Ali Edwards, Elizabeth Kartchner, Laura Kurz, Amanda Probst, Heidi Swapp, Maggie Holmes, Amy Martin, Jessica Sprague, Mou Saha, Deena Wuest, Kelly Purkey, and Nicole LaRue. The book also comes with a CD packed with great elements - fonts, templates, text paths, screen saves, and some of the great designs found in the book that you can print and use for your own creations!! Visit the Get Creative with Type page at Amazon.com. You can also read more of my reviews for other recommendations. Who said crafting is only for girls?! 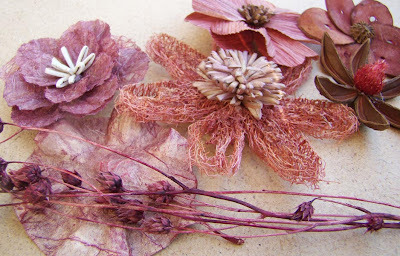 What does your husband think of your crafting - scrapbooking, knitting, stamping...whatever it may be? My husband teases me about my scrapbooking sometimes, but overall, he's really pretty supportive. I think that he is really pretty impressed by some of the layouts that I create and also thinks it's pretty cool that I've had some published. Please feel free to elaborate in the comments as well. I love to hear the details!! Quite some time ago I heard about an upcoming crop in a town only a couple hours away from where I live at which both Stacy Julian and Wendy Smedley would be speaking and teaching. At first, I thought for sure that I must have heard wrong because I live in South Dakota and I don't think we've ever had a 'celebrity' scrapper even enter our state before let alone speak/teach at a crop. But, I checked out the website and sure enough, there they were in the presenters list! Now, I have been scrapping for about seven years now and I have never been to a crop. The main reason I've never gone to a crop is that I always felt a little overwhelmed in terms of knowing what to take. I have a lot of stuff and I'm the type of scrapper that never really knows what's going to end up on a layout until I'm in the thick of it, ya know. So, in just a couple weeks, I will be attending my first ever crop! I'm feeling both excited and anxious. The excited part is obvious. The anxious part is due to the fact that I have to try to figure out what to pack! The first step was having something to pack in considering very little of my current storage solutions can be considered 'mobile'. But, I think I found just the thing...or at least the start of it...and if you'll follow me on my journey of my first ever crop, I'll be sharing with you the shopping, the packing and the experience of my very first crop with all of you here on my blog in the coming weeks. Click on the link above to download some great scrapping inspiration (all the details are included in the download) and take some time this weekend to complete a layout or two for your chance to win! I will be accepting submissions until Tuesday, May 5th, 2009 and the winner will be announced on the 6th...have fun creating! I get a daily quote in my inbox every day. 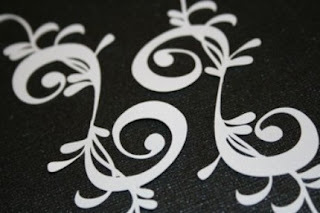 niklindesigns is a new sponsor to the AMOM blog and you really should check out her Etsy store today. 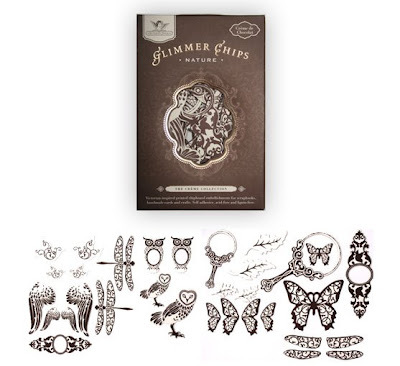 Nicole has some simply stunning paper die-cut designs that would add a custom look to any crafting projects! There are so many 'celebrity' scrappers (Ali, Cathy, Jessica...) that I have longed admired for their ability to make a living from their craft. They get to spend their 'working' hours crafting. How lucky are they?? I, unfortunately, am not so lucky. I work full-time outside the home and have all the wife and mom responsibilities to take care of when I get home, so my scrap time is limited. I am sure that many of you reading this can relate. That's why I was so excited when I heard about Courtney Walsh's book - The Busy Scrapper: Making The Most Of Your Scrapbooking Time - earlier this year. This chapter has two parts - taking stock of what you already hae and getting what you have organized. 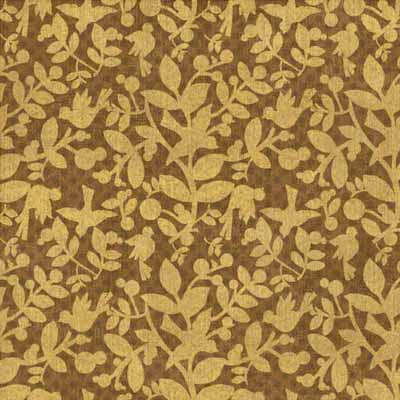 The first section recognizes that having limited time to scrap may also mean that you need to go with the basics as far as supplies are concerned - cardstock, patterned paper, writing tools, embellishments, cutting tools, adhesives and albums. Personally, I also think it means understanding your preferences. For example, there's simply no sense in having a plethora of embossing tools, powders, and such if you don't have the time (and/or patience) to actually use them on your projects. Even more important than knowing what you have is knowing where to find it. Being able to find and use the supplies and tools you want quickly is key to being a fast scrapper and Walsh offers some simple plans for fast organization. 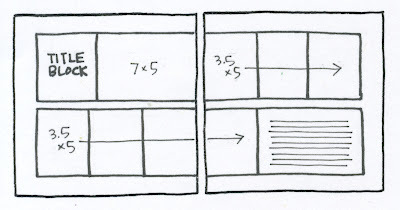 This chapeter includes 22 tips with sample layouts for ways to cut down the time it takes to create a great layout. This chapter recognizes that things don't always go your way, but also offers over two dozen tips for keeping the creating fun. There are 14 tips included in this chapter for making the most of your supplies and tools. Whether you're a tech novice or expert, this chapter includes 16 great tips for using technology to enhance your crafting time. 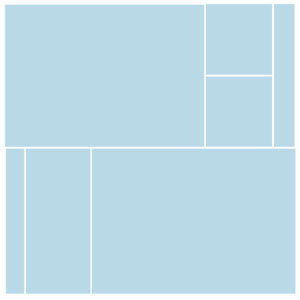 Sometimes half the challenge is feeling inspired to create during the little time you have. This chapter recognizes 14 ways to get inspired. Also included in each chapter are special sidebars including: Kick-Start Challenges, Timesaving Tools, #1 Way to..., and Busy Scrapper Spotlights. This book includes over 90 amazing projects bythe author herself as well as many talented scrap artists such as Greta Hammond, Virginia Williams, Linda Albrecht, Heather Burch, Nic Howard, Jennifer Pebbles, Kelly Goree, and Brenda Carpenter. This book is a great inspiration to any scrapper, especially those that are under time constraints. 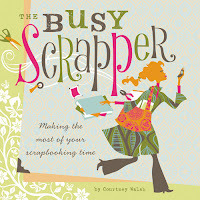 Visit the The Busy Scrapper: Making The Most Of Your Scrapbooking Time page at Amazon.com. You can also read more of my reviews for other recommendations. Wishing you and your family a colorful and wonderful holiday! :DAILY INSPIRATIONS: March 2009 Winner!! Well, I received some amazing email submissions for the March 2009 Daily Inspirations Challenge Giveaway. Thank you to all the amazing scrappers that participated. I simply can't wait to see what creativity you have in store for me next month! CONGRATULATIONS, Michelle! 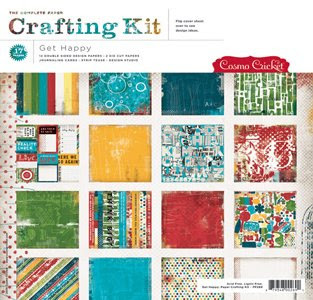 Watch your inbox for an email from me shortly with details on how to claim your Cosmo Cricket Get Happy Crafting Kit! 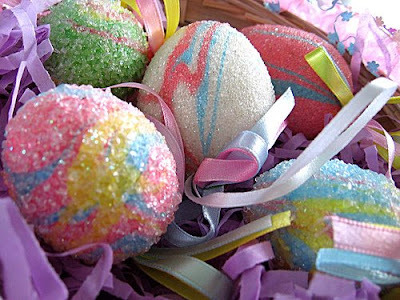 The April 2009 Daily Inspirations has already been posted and this month a prize package of Making Memories goodies is up for grabs! Don't miss out! You can find all the details here. The AMOM blog currently has two amazing sponsors!! Here are their April special announcements! Get it Scrapped! has 2 great class offering going live this month. In Loving Memory with Tania Willis begins on April 9. The loss of a loved one and riding the inevitable waves of grief that follow can be one of the most trying and emotional experiences in your lifetime. Tania Willis discovered this personally after losing her mom, very suddenly and quite unexpectedly, in the summer of 2007. 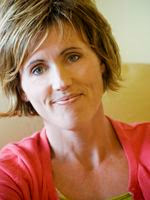 In this class, Tania will help you complete an album dedicated to a loved one you’ve lost with: prompts, starting points, and challenges to get your thoughts onto the page; photo options for illustrating this tribute and journey of remembrance; sketches and sample layouts; and encouragement and support throughout this process of documenting and healing. Intermediate Photo Editing with PS Elements with Lynn Weber begins on April 13. With a combination of step-by-step written lessons and online support in the class private forum, digital scrapper and photographer Lynn Weber will teach you how to improve your photos using Photoshop Elements 4 through 7 and Photoshop CS through CS4. Check out the Get it Scrapped! website for further details and registration information! Paper, paper everywhere! That paper mountain growing on your countertop represents a loss of freedom, a loss of control, and a nagging feeling in your gut that something important isn’t getting attended to. Your paper, and the feelings it creates, makes it hard to relax, focus or even have fun. Here’s the good news: there is a better way! With the right paper organizing systems in place—those created with you, your paper, and your home in mind—you can free yourself from paper clutter and the stress that comes along with it. In Organize Your Paper Clutter, you’ll learn a step-by-step process on how to decide if you need a piece of paper (and for how long!) and how to organize it so you’ll find it again right when you need it! Your piles (and your stress!) will be replaced by organizing systems you love, and feelings of confidence, relief and peace of mind! Check out the Simplify 101 website for further details and registration information. Are you up for some great challenges, games, make-n-takes and, most importantly - PRIZES - this weekend? If so, be sure to check out the Spring it On! 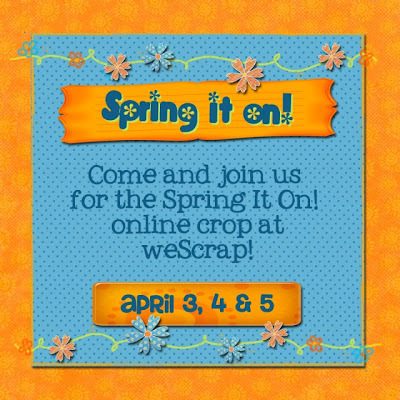 Crop going on at WeScrap!! So here it is...the Daily Inspirations April 2009 Edition!! 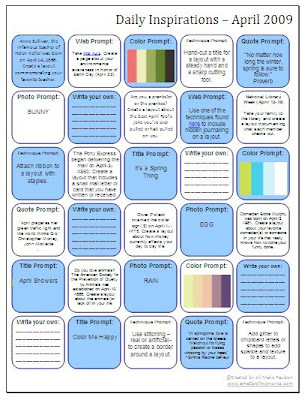 Download now for all kinds of fun and creative prompts to keep you busy all month long! Entries are due by the 5th of the following month. April entries are due May 5th. 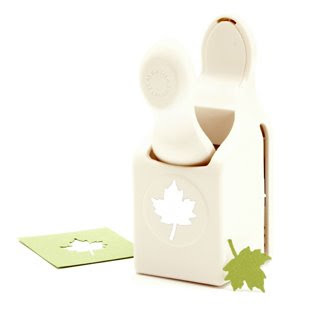 TO BE ANNOUNCED SOON...Here's a little hint: It's some goodies from Making Memories! 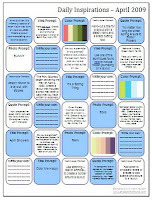 Download the FREE APRIL 2009 DAILY INSPIRATIONS now and start scrapping!! 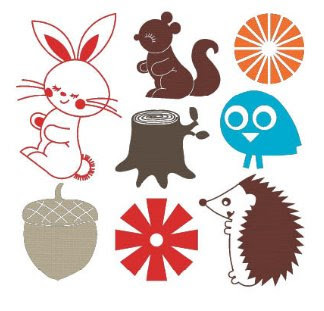 REMINDER: It's not too late for your chance to win the March 2009 Daily Inspirations! Layouts can be submitted until Sunday, April 5th, 11:59 PM (CST) for a chance to win, so check out the details here.